Comprehensive, kindhearted and confidential health services help guide teens and young adults towards a lifetime of healthy decisions and behaviors. This is particularly critical in low-income communities where young people may experience disproportionate exposure to violence and other stressors that may impact their physical health and emotional well‐being. Despite these challenges, comprehensive primary care services specifically targeting adolescents are extremely limited throughout Chicago. 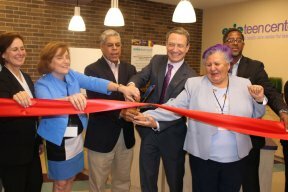 Located in the high‐need community of Humboldt Park, the Erie Teen Center is Chicago’s only stand‐alone full‐service facility in Chicago providing comprehensive services to teens and young adults. 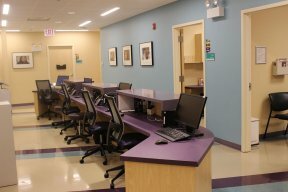 “We provide confidential and judgment‐free services ranging from HIV, STI and pregnancy testing to prenatal care to counseling and emotional support in a teen‐friendly environment. Taken together, these can be a lifeline for the thousands of patients we serve both in Humboldt Park and across the City. We are delighted and grateful to be able to serve 2,000 more patients in our expanded location,” said Erie’s Regional Director of Operations and Behavioral Health, Robin Varnado. The Erie Teen Center is located at 2418 W. Division Street. 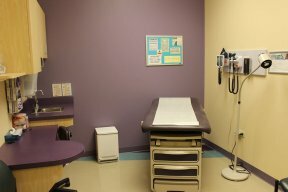 Founded on Erie Street in Chicago in 1957, Erie Family Health Center is a community‐oriented provider of high‐quality, compassionate health care services. Serving close to 70,000 medical patients and 12,500 dental patients at 13 centers throughout the city and surrounding suburbs, Erie has pioneered the integration of primary medical, behavioral health and dental care with continuing patient education, care management and outreach.